This twist pen is chock full of American symbolism. 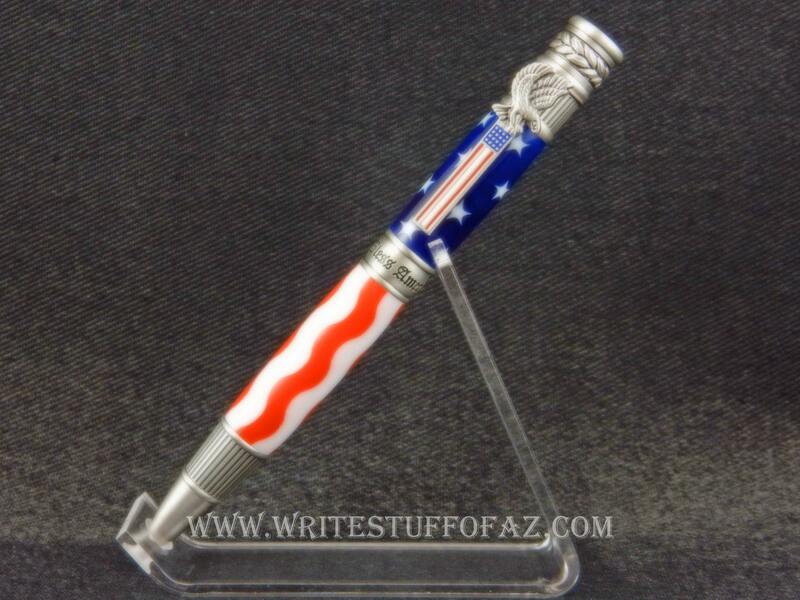 Note the pen clip, which features a red, white and blue American flag and a cast Bald Eagle emblem. 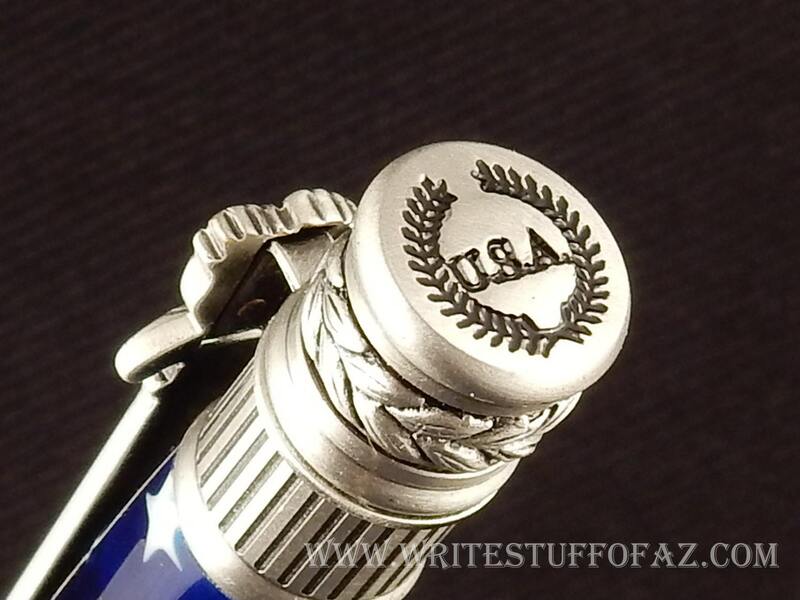 A wreath of laurel leaves - representative of victory - adorns the cap end, along with a stamped U.S.A. Also, the classic Greek columns often seen in our governmental architecture have influenced the design found in the tip and cap ends of this pen. Lastly, 'God Bless America' has been intricately etched into the pen's band. This pen has been hand-turned from stars and stripes resin, and is available in either antiqued pewter or antiqued brass finish. The pen accepts Parker refills, available in either ballpoint or gel in office supply stores nationwide.